Our 100% organic whole grain granola is made using only the finest organic ingredients, and is both, gluten and dairy free. Each order is hand mixed and packed in small batches by hard-working individuals with autism who we like to refer to as our “Granologists.” By empowering Granologists with living wages and independent life skills, we are able to deliver a product that tastes good and does good too. 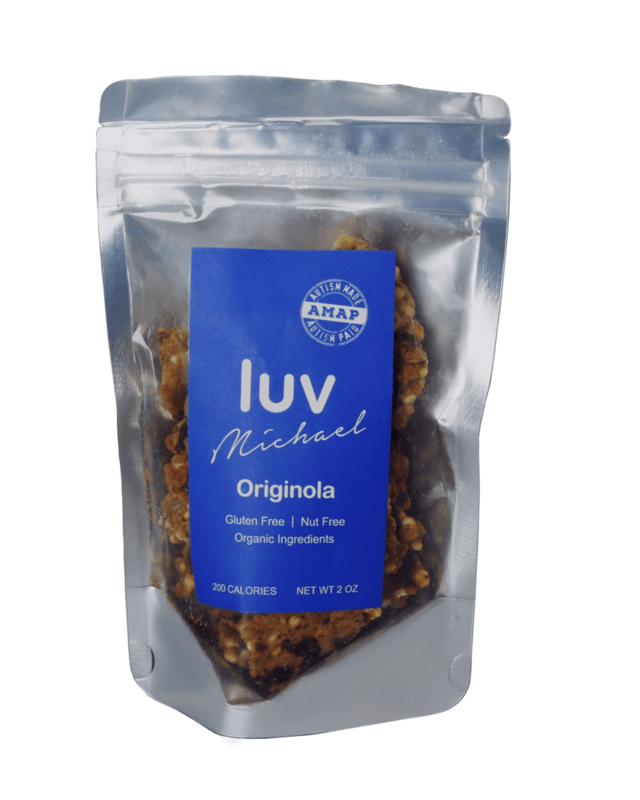 This order contains (6) 6-ounce package of Originola Granola. All proceeds go to provide training and sustainable jobs for individuals on the Autism Spectrum. Delicious. 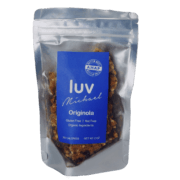 I’m not a huge granola person, and I HATE raisins… However, in Luv Michael’s Granola, you don’t even taste the raisins. Best bag of granola I have ever eaten. This granola is delicious! It’s gluten free, the ingredients are organic and there is no added sugar. It’s a terrific find. And, while it’s a bit pricey, given the ingredients and the fact that the company supports providing jobs to autistic people, I don’t mind paying a bit extra. Good luck to this company!